The Communist Party of Canada today condemned the deadly attack by a masked gunman with assault weapons which killed 6 people and injured 19 more, who were at prayers in the Grand Mosque in St. Foy, Quebec Sunday night. 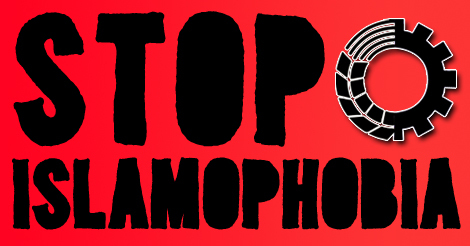 The Party’s Executive Committee expressed deepest sympathy to the families of those killed and injured in this heinous act of hate, and expressed its determination to unite Canadians to oppose and defeat the racism, xenophobia and Islamophobia being whipped up in the US, Europe and Canada today.“This attack is undoubtedly a consequence of the racism, xenophobia and Islamophobia fomented by National Front leader Marine Le Pen who visited Quebec last year, and the new US administration and President Donald Trump, who signed the Executive Order Friday to ban immigration, block refugees, and deny entry to those holding dual citizenship, from seven Muslim majority countries. The Canadian government, while prosecuting this gunman to the fullest extent of the law, must also unequivocally condemn the US government actions which are behind the murders in St. Foy, and those political forces in Canada and abroad which are also fanning the flames of racism, xenophobia and Islamophobia in this country,” said Communist Party leader Liz Rowley today.